Oxford University Press, USA, 9780199677979, 580pp. This innovative volume highlights the relevance of globalization and the insights of gender studies and religious studies for feminist theology. Beginning with a discussion of position of the discipline at the turn of the twenty-first century, the handbook seeks to present an inclusive account of feminist theology in the early twenty-first century that acknowledges the reflection of women on religion beyond the global North and its forms of Christianity. Globalization is taken as the central theme, as the foremost characteristic of the context in which we do feminist theology today. The volume traces the impacts of globalization on gender and religion in specific geographical contexts, describing the implications for feminist theological thinking. A final section explores the changing contents of the field, moving towards new models of theology, distinct from both the structure and language of traditional Christian systematic theology and the forms of secular feminism. The handbook draws on material from every populated continent, with chapters provided by a diverse team of international scholars. Mary McClintock Fulkerson is Professor of Theology at Duke University Divinity School. 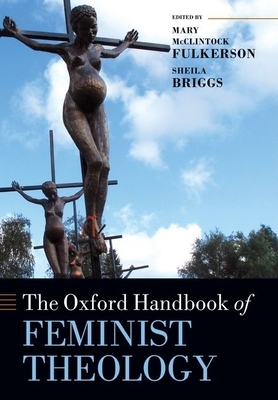 Sheila Briggs is Associate Professor at the School of Religion at University of Southern California.